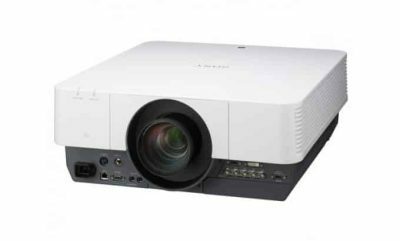 Featuring a very wide range of lens-shift adjustment, and interchangeable lenses, this is a projector that installers can easily fit into awkward places, often reusing mounts and fixtures. The Sony VPL-FX500L is so flexible that it can replace a very wide range of existing equipment. Outstanding image quality is just one of the many benefits of Sony’s 3LCD BrightEra technology. By reducing the effects of UV light, it lengthens panel life, brightens the image, and improves colour rendition. Maintenance is kept to an absolute minimum. Automatic lamp-switching means that at the end of a lamp’s working life, another one, already in place, is brought into use. Synchronised lamp and filter cycles halve the required number of maintenance visits. A second lamp is built in to provide automatic back up. The two lamps can be alternately used. Resolution RGB Max. display (resizing): 1920×1200 dots.